Dr. Tierney Thys is a National Geographic Explorer, Research Associate at the California Academy of Sciences, biologist and filmmaker. Her work bridges the worlds of primary research and science communication to promote environmental understanding and stewardship. 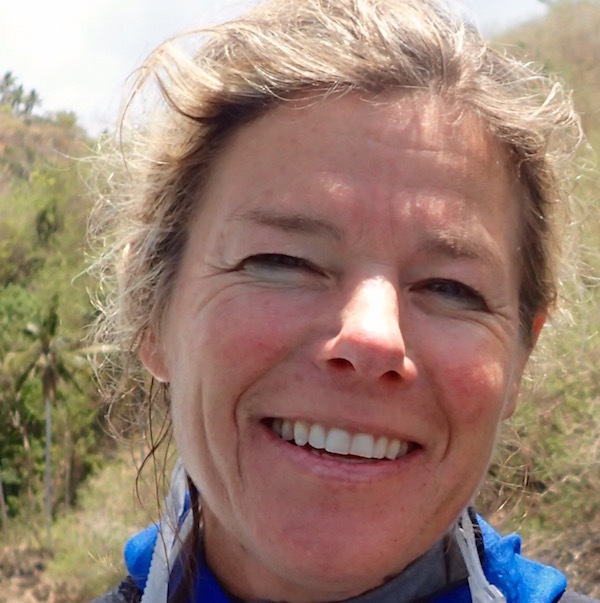 Part of her research involves studying giant ocean sunfishes in numerous locations worldwide including Galapagos, California and Indonesia with an aim to reduce bycatch, promote marine protection and expand sustainable ecotourism. Thys runs www.oceansunfish.org, the Adopt A Sunfish Project and a citizen science sunfish sighting program. Additional research projects include exploring the psychological and neurological power of nature and nature imagery using electroencephalography (EEG) and functional magnetic resonance imagery (fMRI). Together with fellow NG explorer Nalini Nadkarni, she studies the effects of nature on incarcerated populations in a project called the Blue Room which was named one of Time Magazine’s top inventions of 2014. When not chasing fish or spending time in prisons, Thys collaborates with a variety of artists to message science and conservation in diverse ways from film to dance (e.g. Capacitor’s Okeanos) and ocean trash sculptures. Thys served as the Research Director for Sea Studios Foundation, a California based natural history documentary production house, and helped create the multimillion dollar NSF funded series Strange Days on Planet Earth (www.pbs.org/strangedays) and Shape of Life (www.pbs.org/kcet/shapeoflife). Recent projects include short films for TEDed on topics such as plankton, animal evolution, plastic pollution and sharks. Thys also serves as the Daily Explorer in the online game for 6-10 year olds called Animal Jam. Developed by Wildworx, Animal Jam boasts 80 million registered players in 120 countries and 5 languages. Thys is a mom of two, land and sea private pilot, MasterSCUBA diver, trail runner and serves on the board for the TED Braintrust, Think Beyond Plastic, Revive and Restore and the Wildscreen Trust. She received her undergraduate Biology degree from Brown University and doctorate from Duke University in Zoology.